The International Olympic Committee meets from Tuesday to decide whether to bar Russia from the 2018 Winter Olympics for doping violations, in one of the weightiest decisions ever faced by the Olympic movement. The build-up to the high-stakes summit in Lausanne 66 days before the start of the 2018 Games has been dominated by an almost daily drip of negative news for Vladimir Putin's winter sports heavyweights. 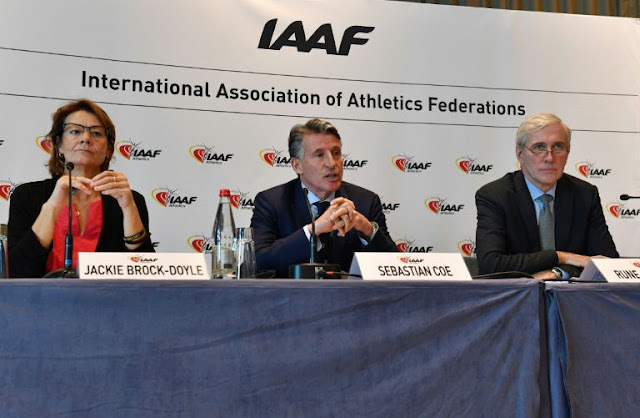 On November 26, athletics' ruling body the IAAF maintained its two-year long suspension of Russia imposed over claims of state-sponsored doping. That ban prevented its athletes from competing at the 2016 Rio Olympics and this year's World Championships in London. The IAAF ruling followed the World Anti-Doping Agency announcement on November 16 that Russia was still not compliant with international rules on doping. WADA's refusal to lift the suspension of Moscow's national anti-doping body raised the stakes in Russia's possible exclusion from South Korea. Russia's chances of going to Pyeongchang were further damaged by a raft of bans handed out to its medallists at the Sochi 2014 Games in the past week. In total Russia was stripped of 11 of its 33 medals for cheating, meaning it has lost its position at the top of the Sochi medals table to Norway. The explosive, WADA-commissioned 2016 McLaren report alleged state-sponsored doping in Russia and saw the country shut out of the agency. Exclusion from Pyeongchang is causing consternation in Moscow. At Friday's World Cup draw in the Kremlin, Deputy Prime Minister Vitaly Mutko decried the doping allegations as an attempt "to create an image of an axis of evil" against Russia. "But this is all because we are such a great sport superpower," added Mutko, who was barred from attending the 2016 Summer Olympics over the drug-cheating scandal. Putin in October accused the United States of putting indirect pressure on the IOC to block Russia from South Korea. A Russia ban would have a major impact on competition in Pyeongchang, notably in disciplines like figure skating, cross country skiing, speed skating and bobsleigh. Whilst its situation appears bleak, Russia can take heart from recent history, as WADA's refusal to readmit Russia may not be fatal to the country's chances of competing in Pyeongchang. And historically the IOC has proven reluctant to issue a blanket ban on a country, one notable exception being South Africa, which under apartheid was barred from the Games between 1964 and 1988. 0 Response to "IOC to rule on Russia's 2018 Games fate"